There are two primary reasons that machines are added to a Managed Service contract: 1) The client hires a new employee, or 2) An existing user gets a new computer. But there are all kinds of other reasons that machines show up (someone just wants two computers, client adds a job-specific machine, etc.). You need to make sure that you handle the billing side correctly as well as the technical side. Note: If you are taking on a new managed service client, then see the SOP on Setting Up a New Managed Service Client. There are three things you need to get right with a new PC setup: Installation, Documentation, and Billing. We have tried to get clients to give us as much advance notice as possible when they are hiring a new person or buying a new desktop/laptop for an employee. As with everything else, planned work is more efficient and less expensive than urgent work. Most of the technical prep work happens before the user sees you. No matter what kind of machine you supply, you'll need to prep it for the client's network. Even if they buy it and you set it up, you still need to do this prep work. As a rule, the technical prep should not be done at the user's desk. It should be done at your office, or at an unused work area at the client office. We discussed New PC Checklists separately. If you do not have a New PC Checklist for this client, now is a good time to start one. If you do have one, make sure you update it before you start and update the master New PC Checklist for that client when you are finished. Basically, that checklist is going to cover removing trialware and junkware shipped with the machine, installing client applications, adding hardware drivers as needed, setting up the machine on the domain, and installing your tools for remote monitoring and management (RMM) and professional services administration (PSA). Oh, and moving the user's profile and settings as determined by your policies and any agreements with the client. While I'm not going into a great deal of detail here, I hope the point is clear: You need good checklists and SOPs to have a pain-free installation of a new machine. Let's take a quick step back. 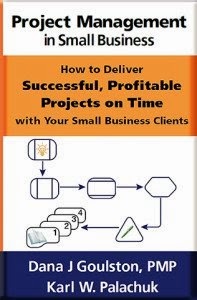 The reason you need to have checklists and a rigorous process is so you can stay profitable. Whether you include a new machine setup in your managed service offering or charge for it, you need to complete the job as efficiently as possible. Rework costs money. If the new machine comes with a new user, you need to make sure they are added as a contact in your PSA (and RMM) system. You will also need to give the new recruit some training on how to create service tickets, what to expect from managed services, and how best to communicate with you. In addition to the New PC Checklist, we have two other types of documentation that need to take place. One is the on site documentation in the Network Documentation Binder (NDB). You need to create a page for the new machine (see The Network Documentation Workbook). If you are removing a machine, you'll need to draw a line across the page of the old machine and make a note that it was removed from service. You will need to make parallel changes in your electronic documentation (PSA and possibly RMM). You need to make sure the new machine is added. 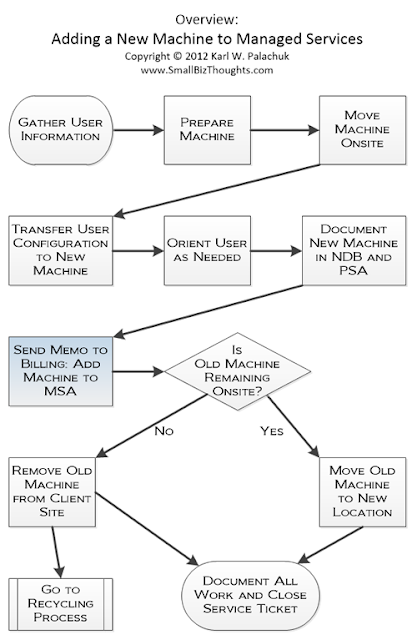 If the old machine is being removed, you'll need to remove it from the PSA and RMM services. Some of this is billing related, but most of it is just keeping your documentation clean and up to date so you can rely on it. Yes it takes time. Either add the five minutes to your billing or include it in your calculations for the cost of delivering managed services. This is the most important part. After all, this is the part that keeps your lights on! You should have a written policy about your billing with regard to new machines. First, you need to decide what your policies are around adding new machines. This is obviously something you can bill for one way or another. It is, after all, an "add-move-change" order. We include the first three hours of labor to set up a new machine in our managed service agreement (MSA). And we need to be very clear about this: That means setting up a new machine with a new user. We pay for this by requiring a four-month minimum for any machine added to an MSA. We do not cover any labor related to replacing an old machine with a new machine for an existing user. We normally cap that at three hours, and it normally takes a lot less. We have a three hour limit because some clients (e.g., accountants) have lots of different software packages that need to be installed. Second, you need to have a very clear procedure for billing around the addition of machines and the removal of machines. There's one important piece of this that might surprise you. See the illustration. - When a machine is added to a managed service agreement (MSA), there is a charge equivalent to one month's service on the MSA. For example, if the regular charge is $65/month for a desktop, then that will be the charge at the time the new machine is set up. We do not sell partial or pro-rated months. Therefore, the charge is $65 no matter when the setup takes place. If the client says it's unfair because it's the 15th, just explain that they're getting three hours of installation labor for that. To be honest, we've had about two questions on this in the last five years. Next week we'll talk about Invoice Review and Processing. One piece of that is to make sure that all machines added to an MSA are invoiced properly. Another piece is to remove machines when they are no longer being managed. - When a machine is removed from the client site, you need to have a process for removing that machine from maintenance. This means removing agents you have, recapturing licenses for RMM agents, anti-virus, and any other services you've deployed. All these little things might be $1-5 per month, but unused licenses certainly add up. You also need to have a system for removing the machine from billing. You ONLY do this when one of your technicians removes that machine from the client site OR the machine has been off and has not reported into the monitoring system for a full billing cycle. When a machine is removed from managed services, the client's monthly bill needs to be adjusted in your PSA. - Here's the important piece that might surprise you: Some machines never disappear. From time to time, clients replace an old machine with a new machine. But they re-purpose that old machine. For whatever reason, they just keep using it. Maybe it becomes the official scanning computer. Or the boss decides to put all her graphic files on it. Or whatever. The point is: That machine continues to report it. It continues to be monitored and patched. It continues to use a license. And therefore it continues to be on managed services. That's why our process is to deal with adding a machine completely separately from removing a machine from managed services. First add the new machine. And bill for it. If the old machine goes offline, remove it from billing. In this case there will be two charges for that one user's machines in a single month. This is because we don't pro-rate for partial months and both machines are "on" the service plan for some period of time. Second, remove that old machine only when it really goes offline. If it never goes offline, you just added a new desktop to the regular billing and no further changes are needed. In all of this, good communications with your client are important. Good communications within your team is also important. 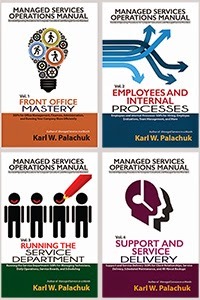 Techs need to have a way to inform the front office when a machine goes on or off managed services. We currently require clients to keep workstations added to the MSA under management until the end of the term. We only remove them under extenuating circumstances like layoffs, where the client guarantees the workstation won't be reactivated for at least six months. The theory was to prevent clients from adding and removing systems repeatedly, which obviously has an associated administrative cost on our end. But we have had some push-back on this policy recently as it's not actually written into our MSA, so I'm looking at alternatives currently. But how do you handle "spare" systems located at a client site that aren't normally used? And just to clarify... when your client adds a new workstation, you're just charging the normal monthly fee, but they just won't always get a full month, depending on the date it was added. Correct? On the last point: Correct. There's an extra charge. Again, the explanation is that the client really gets three hours labor for that. As for spare machines that show up: 1) If it's monitored, it's automatically on the MSA at our standard rate. So if a retired machine shows up on the monitor, the client gets a bill. 2) If not monitored and not part of MSA, 100% of the work on that machine is billable at contract rate. Obviously we work hard to discourage this.